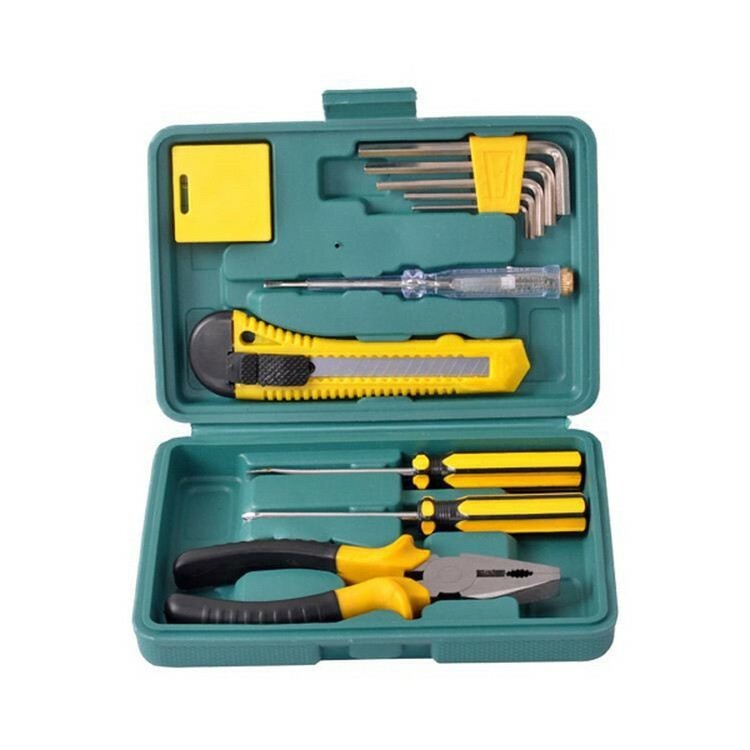 Hardware is made of metal, including 6 pcs hex key, 1 pc tape measure, 1 pc test pen, 1 pc utility knife, 1 pc screwdrivers, 1 pc combination pliers, 1 pc blow case. The deisgn is handy and convenient, it's good for promotion activity and gift. Green case that measures 7 2/3" x 5 1/3" x 1 2/3".